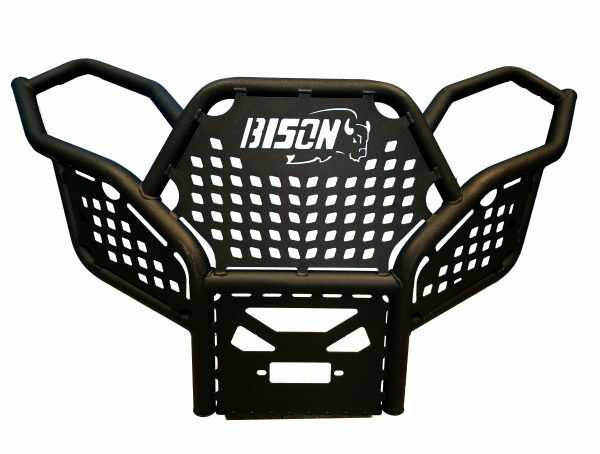 What your Kawasaki Teryx (2016-2019) needs is our Bison Front Bumper Brush Guard Hunter Series. Protect your UTV with an easy, no-drilling installation. Strong & custom build just for you. Protect your MUV from costly damages. A busted headlight, plastic or muffler can cost a lot more then a front or rear bumper. Bison has developed a line of trail riding bumpers that will give your MUV a whole new tough look while protecting its vulnerable area.